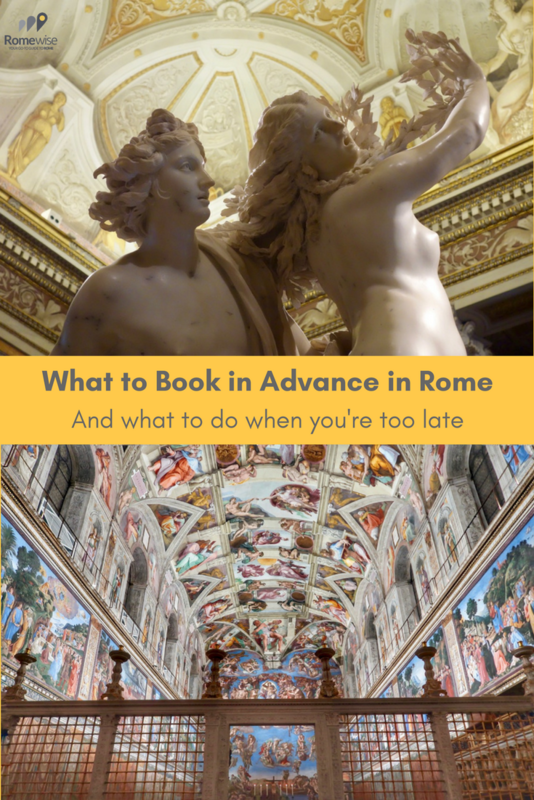 Wondering what to book in advance in Rome? This page is about how far in advance you have to book things, and what to do when you don't book in time. Why you should book in advance in Rome . . .
It’s easy to visit Rome without any advance planning whatsoever. You will still see a lot. In my experience, however, people often arrive in Rome with a wish list, only to discover that what they wanted to see/do needed to be booked ahead, and is now sold out. One reason to book in advance in Rome is simply due to high demand and limited availability. Another reason is to skip the lines. This page is to help you plan ahead, but I'm also including tips for what to do when you're too late. There are a lot of things you cannot book in advance in Rome by more than say, 6 months. If there is something you want to do more than 6 months from now, and you don't see availability, check back each month until they start opening it up to bookings. This page is mostly about what to book in advance in Rome during the busy months (March - November). If you are planning to visit Rome in the quietest months (part of December, January and early February), you may not need to book quite so far in advance. The below are some of the most highly requested things to see and do in Rome. You need to plan ahead. The Pope holds mass throughout the year for various important occasions. Even during Christmas and Easter, there are several masses he holds. But the most popular papal masses of the entire year by far are Christmas Eve Midnight Mass, and Easter Sunday Mass, both held at Saint Peter's Basilica. Pope Francis holding Easter Mass at Saint Peter's Basilica. You need to book long in advance to attend this Papal Mass. You need tickets for both. Tickets are free, but they are also in limited supply. Visit my pages for each holiday, with instructions for booking. You cannot go wrong requesting tickets 6 months in advance. What to do if you can't get tickets to Vatican Christmas or Easter masses? You can try to go there anyway. Sometimes people have extra tickets, and give them away to people walking by, and you could just get lucky. You can try to ask at the bronze doors where the Swiss Guard stand. That's a long shot but you never know. You can go to Saint Peter's Basilica and plan to be outside. This is less enjoyable when it's Christmas, as Christmas Mass is held inside the basilica and it's cold outside. But at Easter, you can stand far back and still get a glimpse of the Pope on the jumbotrons. You could try for other papal masses around the holidays. You could try for mass on Christmas Day, or on at Easter on Holy Thursday, Friday, Saturday, or Monday. 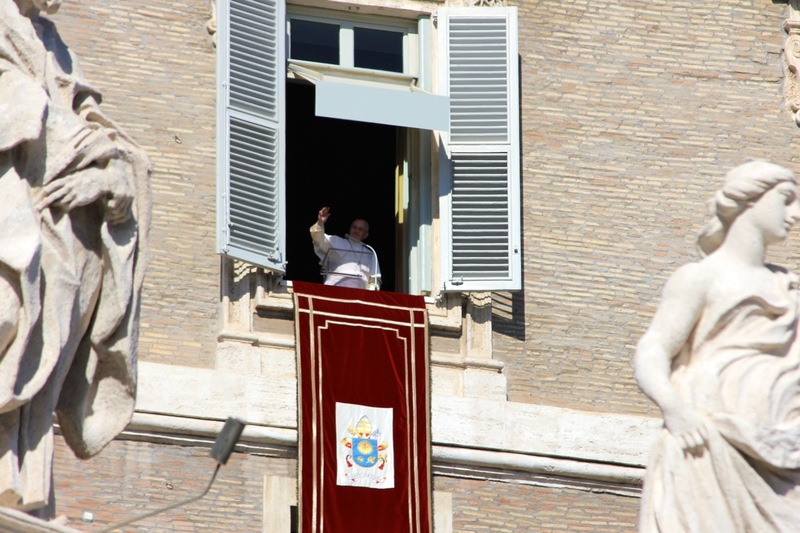 On both Christmas Day and Easter Sunday, the Pope addresses the crowds in Saint Peter's Square after mass, at noon. This address is free and open to everyone. It's called Urbi et Orbi, and is a short speech, usually only in Italian, lasting about 15 minutes. There are so many other churches in Rome where you can attend these special holiday masses, without, of course, seeing the Pope. One such church is the Pantheon. Space will be limited so come early! A visit to St. Peter's tomb, also called scavi (excavations) is a fascinating archeological tour, showing us a glimpse of how the Ancient Romans buried their dead. It is also one of the most sought-after, and difficult to get, reservations in Rome. When you visit the Vatican Necropolis (city of the dead, or burial grounds), deep underneath Saint Peter's basilica, you will also see the site where St. Peter is said to be buried. The site is delicate, so they only allow 12 people on each tour, and a maximum 250 people in the excavations per day. And the tours do not go every day. So as you can imagine, especially as we get into high season months, from March - November, you will have to really plan ahead to visit this amazing site. What to do if you can't get tickets to Saint Peter's tomb? You can try booking through a ticket agency. It's more expensive than booking directly through the Scavi office, but it's a little easier, and, you have a chance to get tickets if the Scavi office is sold out. You can visit other parts of the Vatican, and when you are in Saint Peter's basilica, you can head down into the tombs just below the main church. This is NOT the same as visiting Saint Peter's tomb, but you can see where many other popes are buried, and you will at least be IN the place where St. Peter is said to be buried. This is free and part of a visit to St. Peter's basilica. You can visit the Mamertine prison on Capitoline Hill, and see where Saints Peter and Paul were held prisoner before their executions. You can visit the church of Saint John in Lateran, where the skulls of Peter and Paul are kept. You can visit the church of Saint Pauls Outside the Walls, where Saint Paul is buried. You can visit the catacombs, where many Christians and saints are said to have been buried. Did you know you can skip all the lines but also the crowds, and see the Sistine Chapel after hours? If you want to enjoy an exclusive after-hours visit to the Sistine Chapel, you need to book in advance in Rome by several weeks if not months. This very special thing to do does not come cheaply. But in my experience, it sells out FAST, precisely because it's so exclusive. So if you want to to partake, you need to book as far in advance as you can. 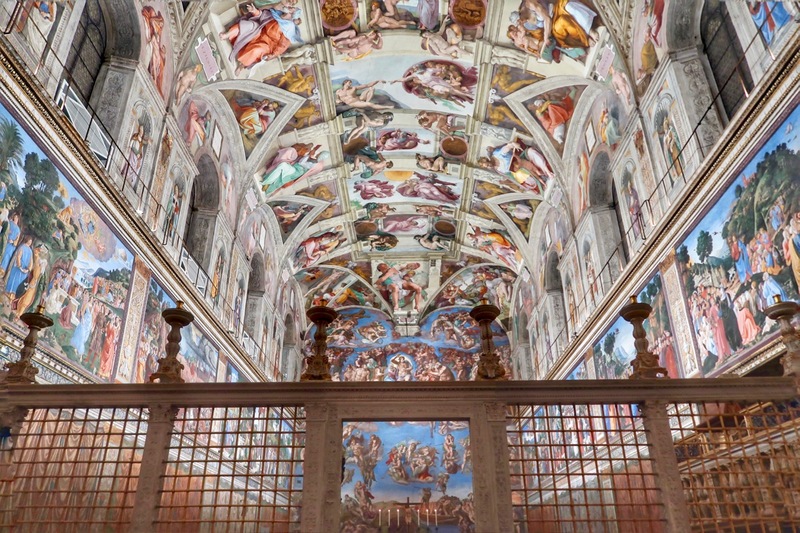 What to do if you can't get tickets to an exclusive after-hours visit to the Sistine Chapel? If your goal is to have privileged access to the Vatican Museums and the Sistine Chapel, one option is to join the Vatican Patrons. I've found a lot of visitors to Rome sign up for this year-long membership even if they won't be able to partake of their privileges throughout the year, simply because they find it worth doing even for the short time they are in Rome. You can book an early morning tour to see the Sistine Chapel before opening time. Since many tour companies offer this option, it is not as exclusive or private as seeing it after hours. But it's still much less crowded than during normal visiting hours. My personal preference for visiting the Vatican Museums is always to go as late in the day as possible. I like to go in at 3:45pm, right before the ticket office closes at 4pm. Then, I get to the Sistine Chapel at 5:20pm, before they start shooing people out at about 5:30pm (the Sistine Chapel closes at 6pm but that is the time they shut the doors, so they need everyone out before that). Then, I just stand that and look at the art. I mean really look at it, closing out all other senses. Ignore the guards asking people to leave. You don't have to leave just yet. Stay as long as you can, focus on what you are seeing, and just soak it up. It's not an exclusive visit, but it feels more special this way, and it's definitely less crowded than during the peak hours of the day. Visiting the Colosseum is one thing. Visiting the Colosseum underground (hypogeum), and third ring, is another. Visiting the Colosseum Underground (hypogeum) and third ring is a very special thing to do. You will need to book in advance in Rome by several weeks, especially in high season. 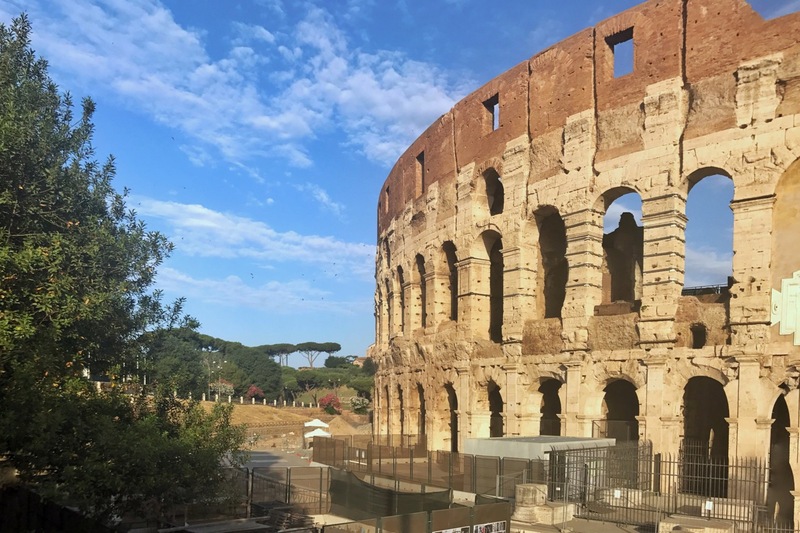 This special visit has limited availability, in part because the areas are delicate, and they cannot accommodate the thousands of visitors who come to the Colosseum every day. This is one visit you must book in advance in Rome, year-round. What to do if you can't get tickets to the Underground/Third Ring? You can try booking a tour through an agency. It will cost more than booking it directly on the CoopCulture website, but you may find availability that way. You can try to book a night tour of the Colosseum (only spring-summer-early fall). The night tours include a visit to the underground of the Colosseum, but not the 3rd ring. You can try to book a visit to the 5th ring of the Colosseum, also called the Belvedere. This will include visiting the 3rd ring, as you make your way all the way to the top. It does not include the underground, but the views from the 5th ring are astounding. It's another special visit, but not as hard to get as the underground so you may find more availability even booking last-minute. Palazzo Farnese is one of the most exquisite, and one of the most difficult to book, noble palazzos in Rome, because it is today the French Embassy. Because Palazzo Farnese is today the French embassy, booking a visit here must be done long in advance. Due to security concerns, there are a limited number of tours, with a limited number of visitors allowed each week. Visits in English are held only once a week (Wednesdays at 5pm). 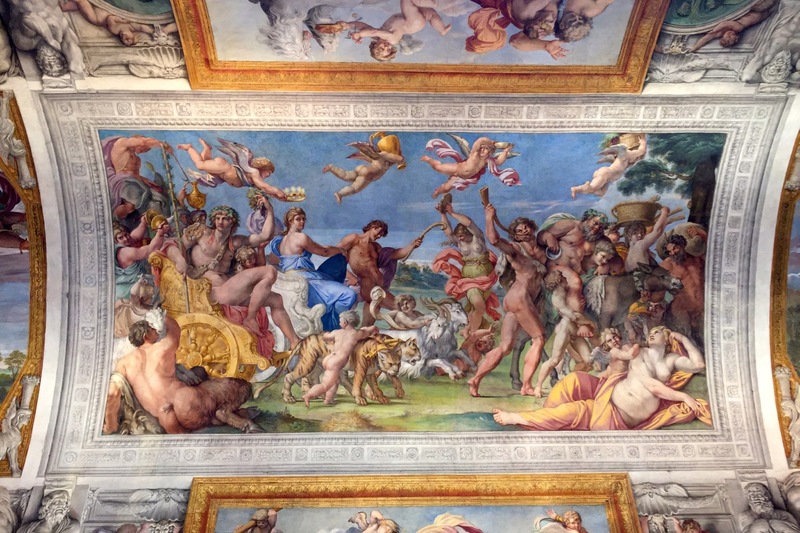 For a chance to see these stunning ceilings by Annibale Carracci, inside Palazzo Farnese, you must plan ahead. If you want to see Palazzo Farnese, you need to book as far in advance as you can (and as far in advance as their calendar allows). Bookings are not accepted less than one week before the date of the visit. 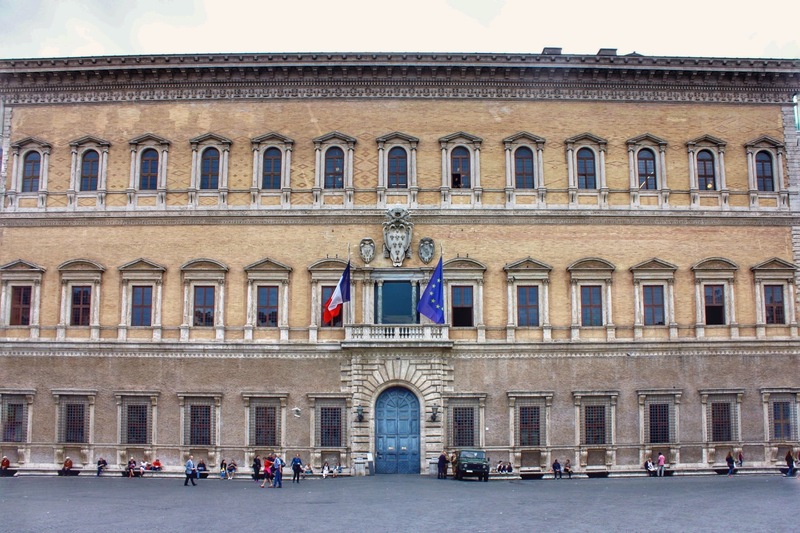 What to do if you can't get tickets to Palazzo Farnese? You could try to take the visit in another language. There are many more options for visits in French and in Italian. If it's important for you to see the villa, and you can only get a tour in a language you don't understand, you will at least be able to soak in all the beauty. You can visit another one of Rome's noble palazzos, such as Palazzo Doria Pamphilj. You can come to Piazza Farnese and get a look at the facade (designed in part by Michelangelo), and enjoy an aperitivo at one of the wine bars there. Rome has one 3*** Michelin star restaurant, La Pergola, inside the Cavalieri Waldorf Astoria. Chef Heinz Beck is world-renowned for his creative, exquisite dishes, and dining at the Pergola offers a treat for the senses like no place else in Rome. Dining at Rome's only 3*** Michelin star restaurant, La Pergola, featuring cuisine by the renowned chef Heinz Beck, is a special treat and must be booked long in advance. You'll need to book months in advance to get a coveted spot here. Jacket and tie required. What to do if you can't get a reservation at La Pergola? The Waldorf Astoria boasts another wonderful restaurant, L'Uliveto, headed by celebrity chef Fabio Boschero. You will dine poolside on delicious cuisine, worthy of the setting. Rome has several Michelin star restaurants, all wonderful, and some with views. Two of my favorite 1* Michelin restaurants in Rome are the Mirabelle inside the hotel Splendide Royale, and Imago on top of the Hotel Hassler. These are both restaurants to book in advance in Rome, by at least 3-4 days. In low season, you may be able to visit the Galleria Borghese without booking ahead, but most of the time this is one museum you must book in advance in Rome, even by a few days. And in peak season, you need to book ahead of time by at least a week. If you want to visit the Galleria Borghese, plan to book ahead by several days if not weeks, especially during high season. 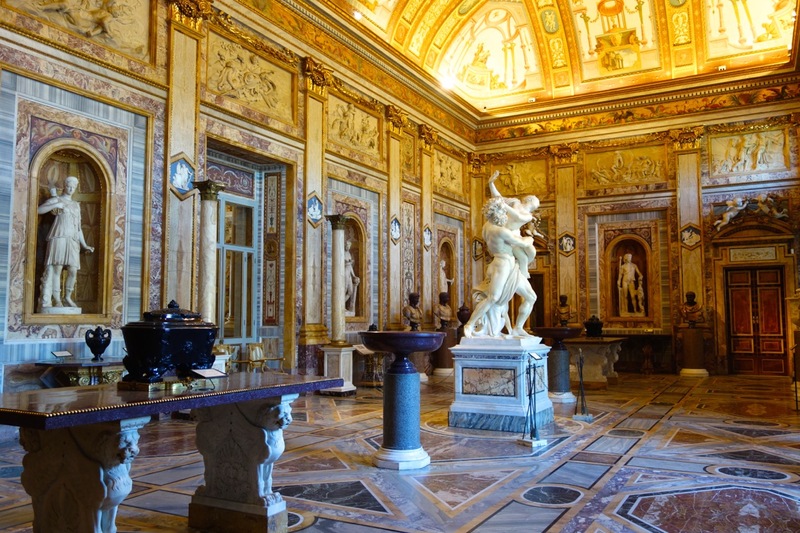 What to do if you can't get a reservation at the Galleria Borghese? You can phone the booking office (011 39 06 32810). Sometimes they have tickets available even if you cannot find them online. You can try just showing up and seeing if there are any no-shows. The best times to try this are 8:30am for the 9am slot, or 4:30pm for the 5pm slot. You can try booking a tour through an outside agency. You can visit another of Rome's wonderful art museums, such as the Doria Pamphilj, the Villa Torlonia, and the Capitoline Museums. If you have a tight travel schedule and want to visit the Vatican Museums on a specific date and time, you should book at least a week in advance. The Vatican Museums can be booked a few days ahead of time but to make sure you get the date and time you want, especially in high season, you'll need to book at least a week in advance. If you, as many visitors to Rome do, don’t book ahead for the Vatican museums, you may be able to book once you are in Rome. You just may find, especially in peak season, that you can't get a ticket online, or cannot get one for the time/date you want. If you are visiting Rome between April and October, and want to visit the Vatican Museums on Friday night, you should book this at least a week in advance. What to do if you can't get a reservation for the Vatican Museums through the Vatican Website? You can go there and wait in line. They do not have a daily quota for number of visitors, so if you wait, you will eventually get in. The lines can be long, even 2 hours' wait time. Try going first thing in the morning (8am, for 9am entry), or closer to closing, like 3:30pm, when there is almost no line. Try to book a tour online, even same day. Tour companies all offer skip-the-line access. If you go down to the Vatican Museums, you will be bombarded by touts trying to sell you skip-the-line tickets and/or tours. Caveat emptor - buyer beware. You have no idea what you are paying for, and often, it can be a tour happening 2 hours later so you sill have to wait. Be very careful about this if you decide to go for one of these options. I don't recommend it but it is an option. If you know you will be back in Rome soon, you could skip the museums and visit just St. Peter's Basilica, and plan to see the museums on your next visit, when you can book in advance. 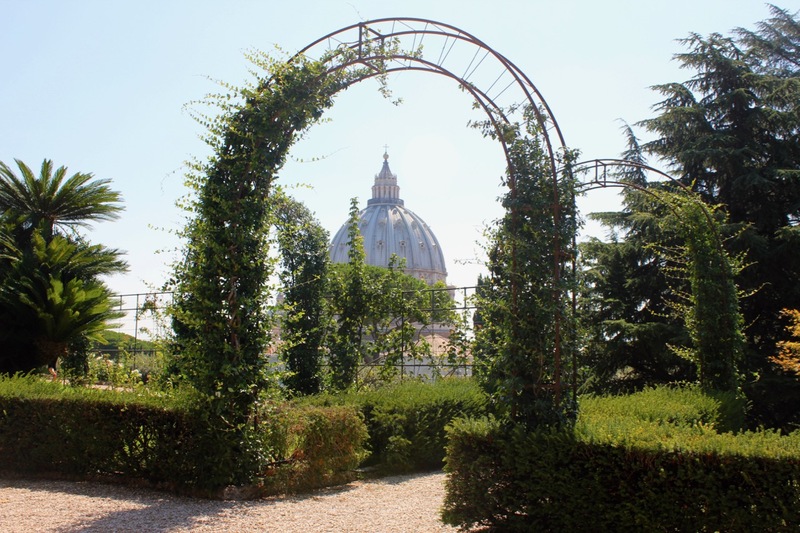 Like some of the other exclusive sites in the Vatican, visits to the Vatican Gardens are something you should book in advance in Rome if you want to get a spot. The Vatican Gardens is a visit you need to book in advance in Rome. It's worth seeing so book ahead! They are not held every day, and only a limited number of people are allowed in at a time, so these sell out quickly. What to do if you can't get a reservation for the Vatican Gardens? You can try to book through a ticket agency. You can try to book a visit to the Pope's gardens at Castel Gandolfo. You can climb the dome of St. Peter's Basilica, where you can see the gardens from above. If you're looking for some green space, head to Villa Borghese park, or one of the other many parks in Rome. Visiting the Domus Aurea can be one of highlights of a visit to Rome, especially if you are into Ancient Rome. This extraordinary archeological site gives you a rare chance to see and experience what an ancient Roman Imperial palace was like. The Domus Aurea is a must see if you love Ancient Rome. Book long in advance! Availability is very limited, in part because it's open for tours only on weekends. This is one site you really must book in advance in Rome. What to do if you can't get a reservation for the Domus Aurea? You can try to book a tour that includes this. It will cost more than booking directly with CoopCulture, but it will include other things too. Visit Palazzo Valentini (below), another amazing underground Ancient Rome site. Visit the Palazzo Massimo alle Terme, a wonderful museum with fantastic Ancient Rome artefacts, sculptures, mosaics and more. The Domus Romana at Palazzo Valentini is an amazing visit of an ancient Rome site. Right underneath Trajan's Column and Trajan's Forum, you can see excavations of an ancient Roman domus, or home. The tour is excellent, and offers an immersive experience, including film, light shows and laser images. I love the Domus Romana and its immersive light show. Just make sure to book ahead if you want to see this special site. Just a small warning - it made me a little dizzy to have lights going off and the floor lighting up underneath me, but I still loved it. I just leaned on the wall! Because the number of people and visits per day is limited, you will need to book in advance if you want to visit this site. What to do if you can't get a reservation for Palazzo Valentini? You can go to the booking office/entry site and see if they've had any cancellations/openings. To attend the weekly Papal Audience, it's a good idea to book at least a week in advance, if not more. Depending on how busy it is in Rome, you can sometimes book 1-2 days in advance. 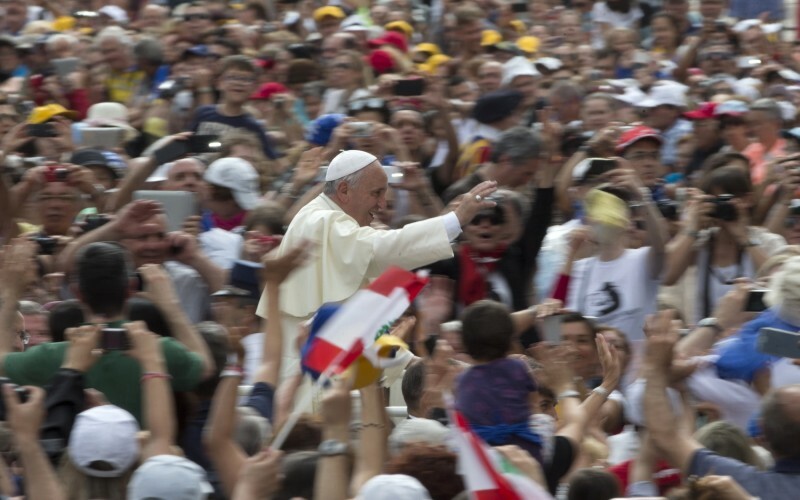 What to do if you can't get a reservation for the Papal Audience? You can go at 7am to the bronze door of the Swiss Guard on the morning of the audience, and ask if they have tickets. This is not a guarantee but often you will be able to get them this way. You can try booking through a tour agency. In this case you will pay to attend the Papal Audience. As a bonus, the tour agent usually accompanies you to seating near the front. Some of the below are ALSO in the sections above about what to book in advance in Rome by a week or more. They are in this section as well because you can sometimes book them during your visit, or with short notice, if you are here in low season, or, in high season, if you get lucky. Just know that even if it's the same day, you SHOULD book. So the exact time when to book in advance in Rome for these things is up to you. If you are a planner, err on the side of caution and book ahead. I always suggest booking (even same day) ahead for the Vatican Museums, purely to make sure you get skip-the-line tickets. 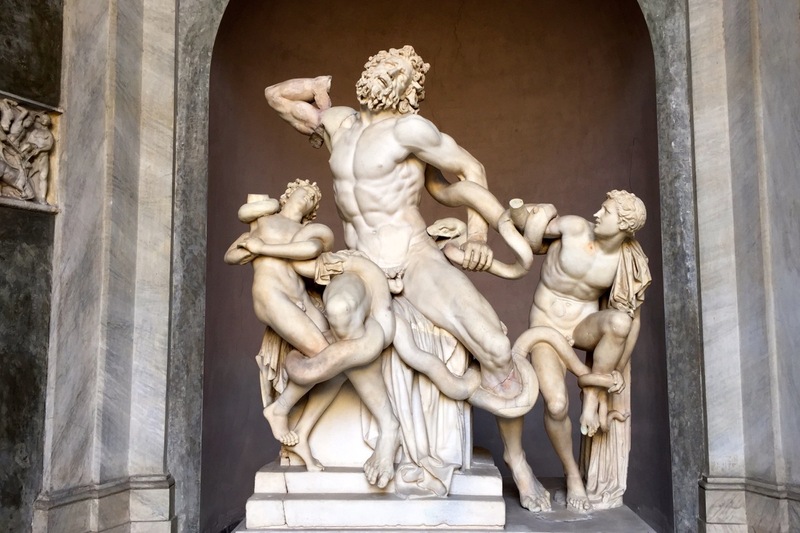 The Laocoön sculpture is one of the must-see works of art inside the vast Vatican Museums. Unless you have a specific, high in-demand concert or opera you know you want to see, you can usually find tickets to an opera or concert last-minute in Rome. This includes concerts at Rome's auditorium, operas in Rome's opera house or at the Caracalla baths, and of course, the smaller concerts held in churches around Rome. So even if you book the same day, you will find something to see. As I mentioned above, in low season, you can often just go to the entrance of the Swiss Guard at 7am and ask if they have tickets. And in high season, you can try this as well, although in general, the Papal Audience is one thing I suggest you book in advance in Rome by at least a week. My advice to you is to relax about this and not over-plan. You may not need to book so far in advance for Rome restaurants. There is always someplace good to eat. But book the same day if you can! I’ve seen so many of our hotel guests book a restaurant, and then cancel at the end of a long day, because they either “are too tired to go very far" or, “ate some pizza along the way and now are not hungry, we might just go out for some drinks." Once you are in Rome, you can see how you feel, and decide even on the same day where you want to have dinner. Believe me, there is always someplace good to eat in Rome. If you want to try for reservations at Rome's only 3* star Michelin restaurant, and taste some of Heinz Beck's extraordinary creations, you need to book in advance in Rome by weeks if not months. To book at Rome’s only 3-star Michelin restaurant, La Pergola, you need to book weeks, if not months, in advance (as mentioned further up on this page). To book at some of the hottest popular “best Rome trattorias", you should consider booking a few days in advance. (By this I mean the ones blazing the pages of all the Rome food blogs, and anything that has appeared recently on Anthony Bourdain's show). If you are coming at a very busy time, and have a specific restaurant where you really want to eat, book a couple of days in advance. By busy times, I don’t mean Christmas and Easter. I mean during really busy weekends, such as when 6-nations Rugby matches are in town (in February and March); when the BNL tennis tournaments are in Rome (mid-May); on Valentine’s Day; or when a major concert is on in Rome. So if you are coming on a weekend-break to Rome, consider if there is a special event or reason you are coming. Chances are, thousands of others are coming too, so you should book in advance in Rome if you know where you want to eat. Securing a reservation at one of my favorite Rome trattorias, Armando, has become so difficult, you need to book in advance in Rome by at least a week if you want to eat here. When I say that for the below, you don't need to book in advance in Rome, I mean, you do not need to book at all. Just show up. Visiting the Vatican usually entails seeing the Vatican Museums (for which I highly recommend booking in advance, see above), and visiting St. Peter's Basilica. You can visit one and not the other, and you can also visit them on separate days. You can visit St. Peter's basilica without booking ahead. It's free to enter, but you will need to go through security, and lines can be long. St. Peter's Basilica is open 7 days a week, from 7am until 6:30pm (winter) or 7pm (summer). It's free, but you do have to go through security. So you do not need to book this in advance. You CAN purchase tickets to skip the line, but that can also be done a day in advance and often on the same day. One of the best ways to see the Pope in Rome is to attend the Sunday Angelus. Pope Frances gives the Angelus every Sunday when he is in Rome. It's free for everyone and you do not need a ticket. Just show up. Held (just about) every Sunday when the Pope is in Rome, this short greeting is free for everyone and does not require a ticket. Just come to St. Peter's square around 11:30, and wait for the Pope to appear in the window above, and greet the crowd. The Angelus starts at 12 noon and lasts about 15 minutes. There is not a daily quota for how many tickets they will sell to these sites (although they do only allow 3,000 people inside the Colosseum at once). So they won't sell out. You really don't need to book ahead to visit the Colosseum in Rome. Just go to the Palatine Hill to purchase your entry ticket, and you'll have a much shorter line, or no line at all. In fact, if you are just visiting the normal sites, and not looking for special visits like the Colosseum underground, you don't need to book at all. Just go to the Palatine Hill entrance. The lines there are never that long, and they tend to move more quickly than at the Colosseum. 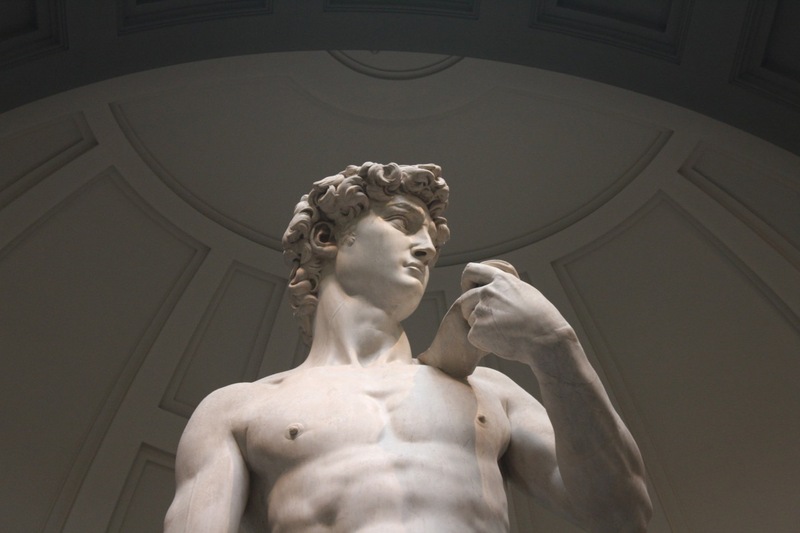 Without a doubt, you should book the Uffizi Gallery, Accademia (where Michelangelo's David is), and the Duomo (cathedral), especially if you want to climb to the top. To visit the Secret Itineraries Tour in the Doge's Palace in Venice, you need to book in advance. 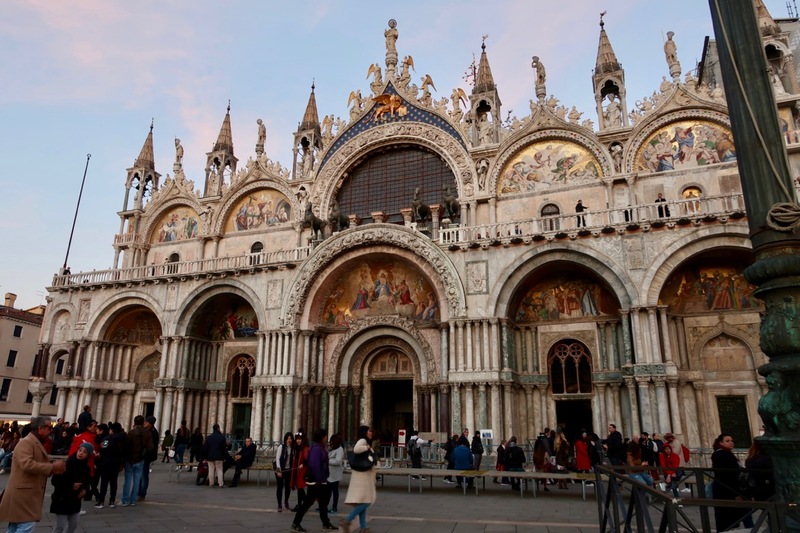 You can visit the Doge's Palace in Venice on your own, but if you want to book the Secret Itineraries tour at the Doge's Palace, you need to book that in advance. By booking your trip in advance, you can often get some good deals. This page is about sites and restaurants to book in advance in Rome. For more about booking your hotels, flights, cars and trains ahead to save money, visit this page.